Our firm is here to help you and/or your business. From any accounting needs you might have to tax planning and preparation. Our Goal is to help with your goals and dreams. Plan for your taxes before your next year's filing. Call before making financial decisions to see how it may effect your next return. We will prepare and electronically file your forms. City forms may have to be mailed. 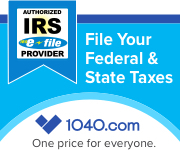 Pricing for simple Federal and State returns starts at just $75.00 and includes Electronic Filing. Additional fees may apply for extra forms including city returns. As an added benefit, we'll come to your place of business and pick up your employees forms . Need assistance with your tax planning? Don't we all. We've got you, your needs and objectives in mind. You and all your tax planning are in expert hands. Dignity Tax Service is an Ohio based firm offering discounted tax preparation services. Affiliated team members of Dignity Tax Service maybe licensed to offer insurance products in the state of Ohio. Check the Ohio Department of Insurance website to view more information. Not all preparers and staff are insurance licensed. Mr. Allen offers and sells securities through CoreCap Investments Inc., a registered broker-dealer and Member FINRA/SIPC. Dignity and CoreCap are separate and unaffiliated entities. Mr. Stroia offers and sells securities through Investment Network, Inc., a registered broker-dealer, Member FINRA, SIPC & MSRB. Dignity and Investment Network, Inc are separate and unaffiliated entities.